Highlighting has recently gained increased popularity as a makeup trend; many high-end and drugstore makeup companies have launched new highlighter products and even full lines of highlighters to meet the rising consumer demand for these products. Highlighters claim to help users achieve a natural illumination that causes their skin to appear as though it is glowing from the inside. 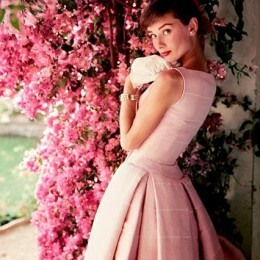 However, accomplishing a natural-looking glow with highlighter can prove to be a difficult feat. 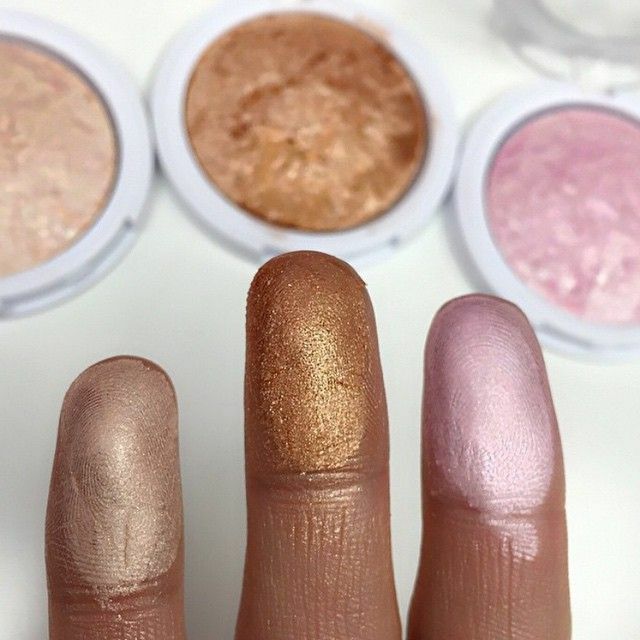 Many highlighting beginners end up looking chalky or too sparkly or glittery rather than naturally illuminated. Fortunately, there are several easy tips and tricks you can use in order to achieve a natural glow with highlighting makeup. 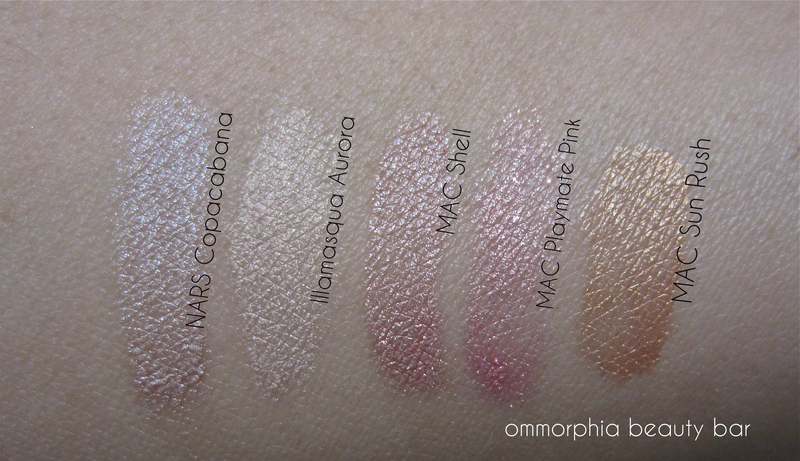 There are countless highlighters available to choose from on the current makeup market. These highlighters come in many different colors, from pink to gold to silver and even wilder colors like mint green. 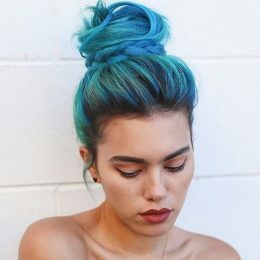 While choosing a brighter, more “fun” shade of highlighter might be tempting, it is best to pick a color that complements your natural skin tone. When you go to the store to purchase a foundation, you generally make sure it matches your skin before you buy it. The same rule should be applied to highlighter purchases as well. Highlighter does not need to exactly match your skin like foundation does. However, you should not purchase a peach highlighter if you have skin with cool undertones and you should never use a green highlighter when you’re striving for a natural everyday look. Pearl highlighters are best for extremely fair skin, while medium skin tones are complemented by champagne and light pink highlighters. 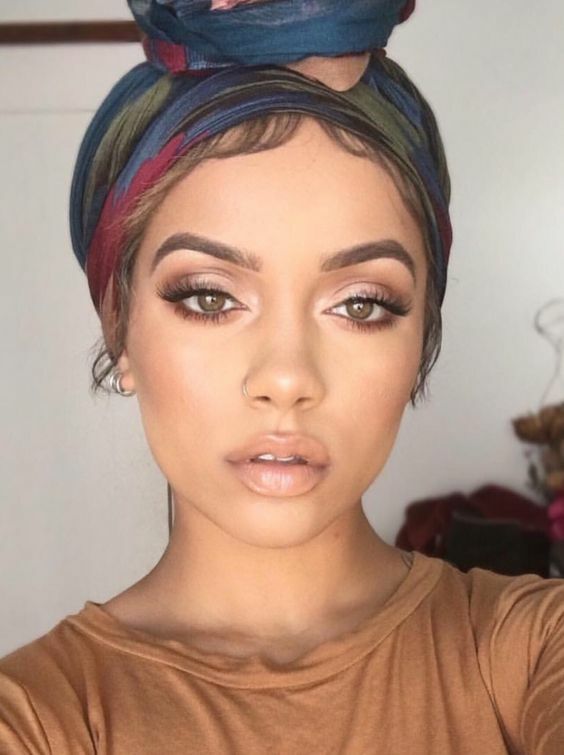 Beige and peach-toned highlighters work well for those with darker skin while those with very deep skin tones can naturally pull off a golden highlighter. The difference between highlighters and sparkly skin products is one that is far under-recognized but can make or break your achievement of a successful natural glow through highlighting. 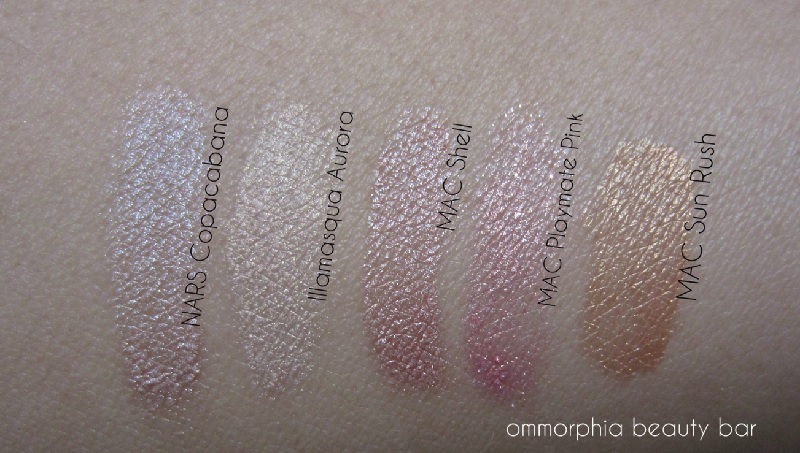 Highlighters are supposed to shimmer; that is how they make your skin look like it is glowing. However, they are never supposed to sparkle. Sparkles are great for eyeshadow, lip products, body powders, even some bronzers, but they do not belong in the highlighter you use if you want it to look natural. Highlighters are supposed to highlight the natural glow in your skin. Because your skin does not naturally glitter, an excessively sparkly highlighter is not going to look natural. One way to spot a highlighter that is too sparkly is by looking for glitter particles in the highlighter. If you find any visible glitter particles within the highlighter, even if they are extremely fine, the highlighter is likely to stick out like a sore and unnaturally glittery thumb on your cheekbones. Highlighter is meant to be applied as one of the last elements of your skin makeup. In order to prevent your highlighter from messing up the rest of your makeup you have carefully applied, it is important to not smear the highlighter around too much on your skin after you apply it. 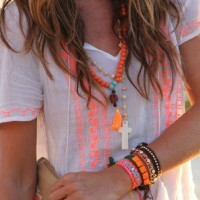 However, it is also important to blend the highlighter into your skin so that it looks natural. Everyone can spot a girl whose foundation is not blended into her neck or jawline. Highlighter works the same way. If you do not blend it in effectively, it will sit on the top of your skin like a blinding strobe light that screams “unnatural”. In order to ensure that you blend your highlighter in enough without smearing the rest of your makeup, use a stipple brush to first apply the highlighter. Then, use your fingers to carefully blend the edges of the highlighter out to create a more natural and balanced glow. There are some excellent powder highlighters out there, but many powder highlighters have a tendency to sit on top of your skin instead of absorbing, which creates an unnatural appearance. Liquid highlighter is easier to blend into your skin and usually settles and absorbs more evenly to create a more natural look. 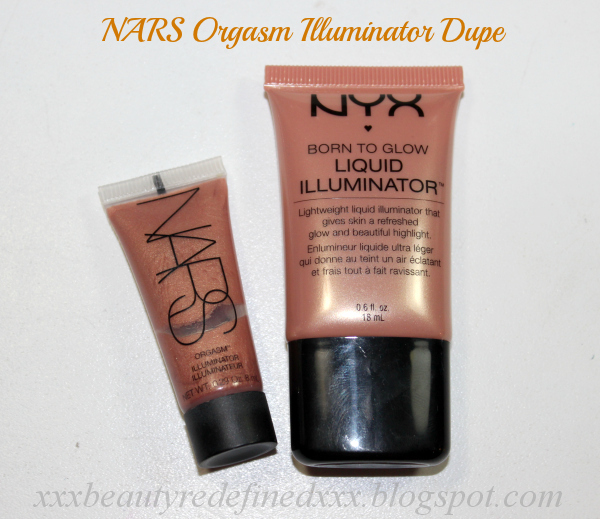 Some great liquid highlighters are NYX Born to Glow Liquid Illuminator ($7.49) and NARS Illuminator ($30.00). Both of these liquid highlighters are available in several different shades so that you can choose a color that complements the undertones of your skin tone as well as possible. If pure liquid highlighter looks too unnatural on your skin, you can dilute the highlighter by mixing it with your liquid foundation. 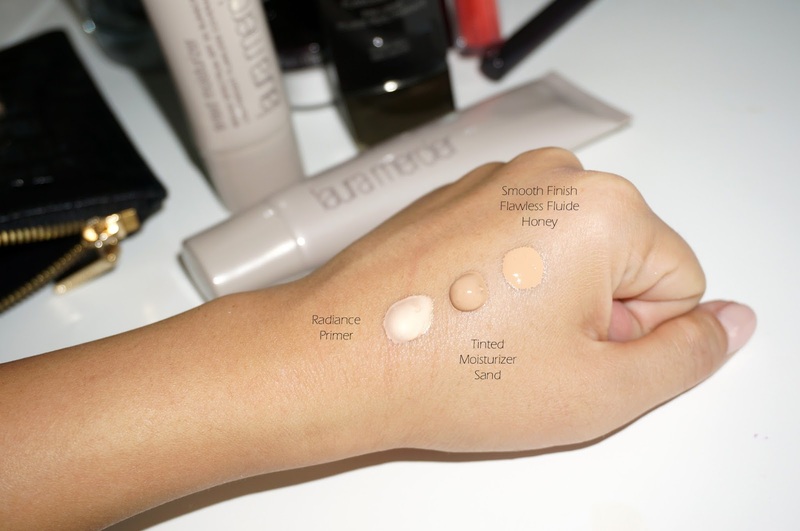 Simply blend several drops of liquid highlighter into your regular liquid foundation. Apply the mixture to the areas of your face where you would normally use highlighter for an extra natural glow that does not look too strobed or shiny. You can even apply a blend of foundation and highlighter to your whole face if you feel like your skin is looking dull. However, if you apply highlighter mixed with foundation to your whole face, make sure you only add one to two drops of highlighter into the foundation in order to prevent your whole face from appearing oily instead of dewey. 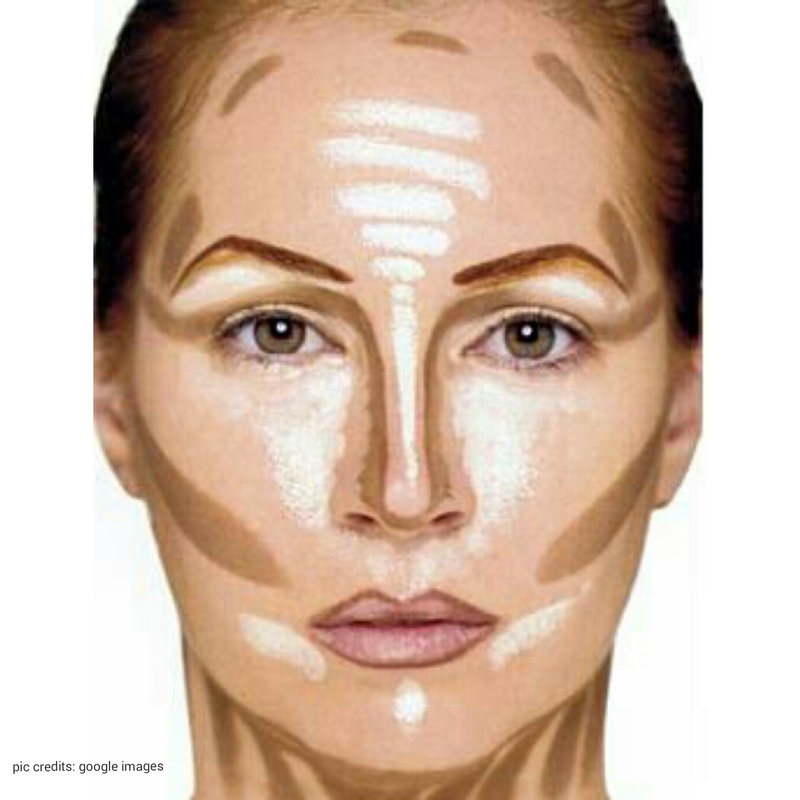 Highlighter, especially powder highlighter, has a tendency to appear chalky or fail to absorb into the skin after it is applied. While these highlighter challenges can sometimes be fixed by investing in a better quality formula, a chalky highlighter appearance can also be caused by a lack of skin hydration. When you are going to apply highlighter within your standard makeup routine, make sure that your face is well moisturized beforehand. Use a lightweight moisturizer formula on your face approximately fifteen minutes before applying the rest of your makeup to make sure your highlighter can absorb successfully. Also, make sure to thoroughly apply primer to the places you plan to highlight before you apply your makeup. High-quality primer provides a base for your makeup to settle into so that it looks more natural on your skin. Highlighter is meant to enhance the areas of your face that naturally shine. In order to achieve a natural glow from highlighter, it is important that you know which regions of your skin to highlight and ensure that you do not highlight anywhere else. If you highlight areas of your skin that do not naturally shine, your highlighter will appear unnatural and your face will likely look oily. Highlighter should never be applied underneath the cheekbones. 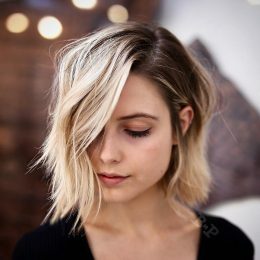 Instead, it should be blended upwards to the very top of the cheekbones. 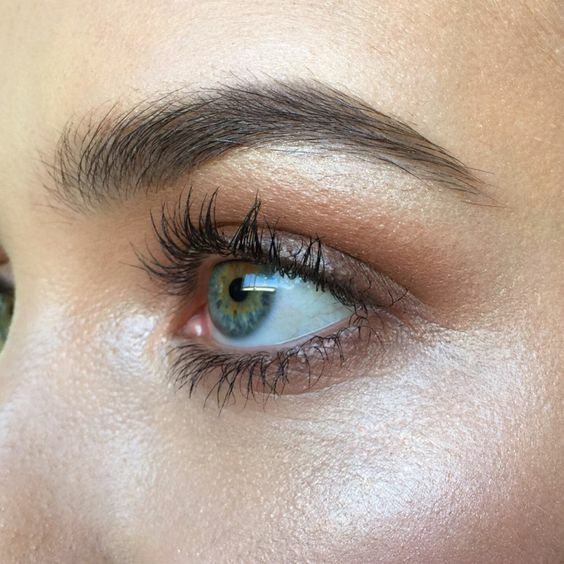 Highlighter should also be applied directly above and underneath your eyebrows and in the center of your forehead. You can apply highlighter to the bridge of your nose, but you need to be careful to not apply any to the sides of your nose. 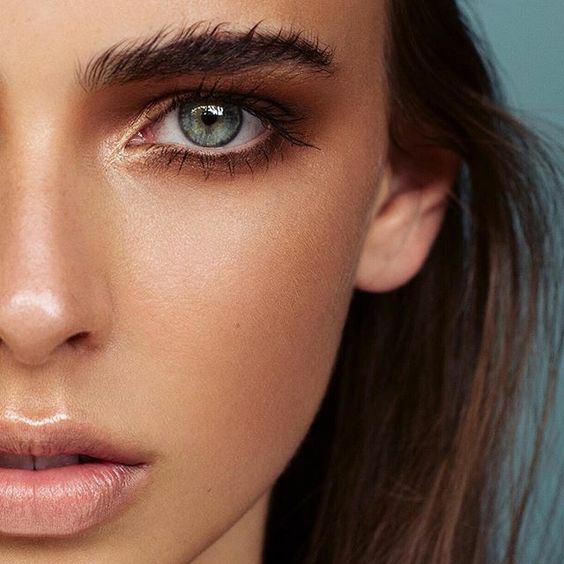 By applying highlighter to the right places, you can accentuate your skin’s natural glow rather than try to create an unnatural shine that does not exist. Highlighter can be a magic wand in your makeup drawer, but it can also be your worst nightmare if you use it wrong. By using the tips in this post, you can wield this miraculous tool to your advantage to enhance the gorgeous natural glow in your skin without appearing shiny and oily to create a bright and completely natural look. Find more makeup tips on stylesweekly!